Behavior problems, minor physical anomalies & the hand! The relationship between hands & behavior had already been notice in the early days of the Greek philosopher Aristotle (384 BC – 322 BC) - who e.g. debated the cause-and-effect relationship in the hand’s development and the emergence of the superior human intellect. Later the Roman physician Galen (129 – 199) became known for advocating the view that physical features could reflect inner characteristics of behavior. And more later the concept of the ’physiognomy’ suggested that deviant behavior could be predicted from certain physical characteristics of the head and hands. During the 2nd half of the 20th century a new development became manifest. The so-called ‘minor physical anomalies’ (MPA’s) became a study object for behavioral & medical researchers in order to study the cause of various behavior-related disorders. And these MPA's are typically found at the body's most differentiated extremities: the hands & face! And especially the ‘Waldrop scale‘ (Waldrop & Halverson, 1971) became a popular tool for studying the prevalence of MPA’s in these populations. And various studies have indicated that the MPA’s included in the ‘Waldrop scale’ are much more often seen in certain groups of youngsters. While the average prevalence of items is usually low in controls (between 1.10% and 2,32%), studies have reported much higher values in various populations, e.g. : Down syndrome (17.04%), schizophrenia (4.83%), Tourette syndrome (5.45%). 6 - nail hypoplasia (= fingernail thickening, thinning or fragility). But the studies so far have also indicated that the individual items in the Waldrop scale can not serve for reliable diagnosis. And few details are available regarding the possibility that specified combinations of MPA’s (within one body part or multiple body parts) could serve as a reliable diagnostic marker. Re: Behavior problems, minor physical anomalies & the hand! The authors e.g. 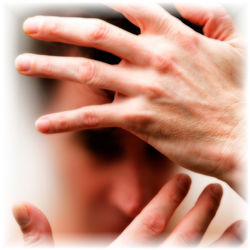 present a summary of hand characteristics that have been associated with schizophrenia. One of the markers that I have found in multiple studies (including the studies by the psychologists Charlotte Wolff & Yael Haft-Pomrock) that schizophrenia is often featured with a long, narrow hand. Now... what have I just discovered? I have just noticed that the authors of the book 'Schizophrenia', e.g. report that the results of various studies suggest that schizophrenia is typically featured with an 'elonguation' of the face (especially the mid- & lower face), resulting in a longer 'ratio of skull width'. "The greatest deformation was observed in the sagittal plane as vertical (i.e., superoinferior) elongation of the face in patients relative to comparison subjects." 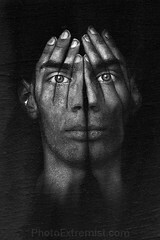 Obviously... this suggests a clear 'parallel' been the typical features seen in schizophrenia regarding the hands & the face! NOTICE: Anat, who is another member of this forum is currently working on a study of the hand in schizophrenia... I will ask her to report her results at this forum herself. According to data regarding prevalence of MPA's, It was proved that whtever items considered under waldrop scale cannot serve as reliable diganostic markers. You also mentioned, few details are available regarding the possibility that specified combinations of MPA’s could serve as a reliable diagnostic marker. As per physiognomy, deviant behavior could be predicted from certain physical characteristics of the head and hands. Here, I don't see a sole importance of palmistry in predicting wide range of function and behavior related disorders. Iam not getting the take home message from your post. can you tell me what you are trying to convey ? FÄSŦŦÌMÉBÖY (ツ) wrote: Hi, Martijn ! Basically, I have tried to discuss some fundamentals... which actually explain how SPECIFIC COMBINATIONS of hand signs can be used to diagnose a wide range of disorders via the hand. "As per physiognomy, deviant behavior could be predicted from certain physical characteristics of the head and hands." ... actually perfectly describe the key-element that I had in mind while writing my posts!! Have you already taken a look at the materials (e.g. about 'Multi-Perspective Palm Reading') that I have refered to with links in my previous posts?